“Yes, in one way or another I have always loved trains.” Walter E. Disney. By James Bacon: Here at Journey Planet we are pleased to announce that we have released a whole issue entitled and about “Mapping Disney’s Railways”. In fairness, we have not gotten our cartographers kit out, but rather focused on Walt Disney’s love of trains. Download it directly here [PDF file]. Starting with Walt Disney as a youth in Marceline, where his Uncle would drive trains and he himself was a “Train Butcher” through to his live steam model railway, The Carolwood Pacific Railroad, surrounding his home in Los Angeles, we have tried to capture in the fanzine many the many railway elements that intersected with Walt Disney. 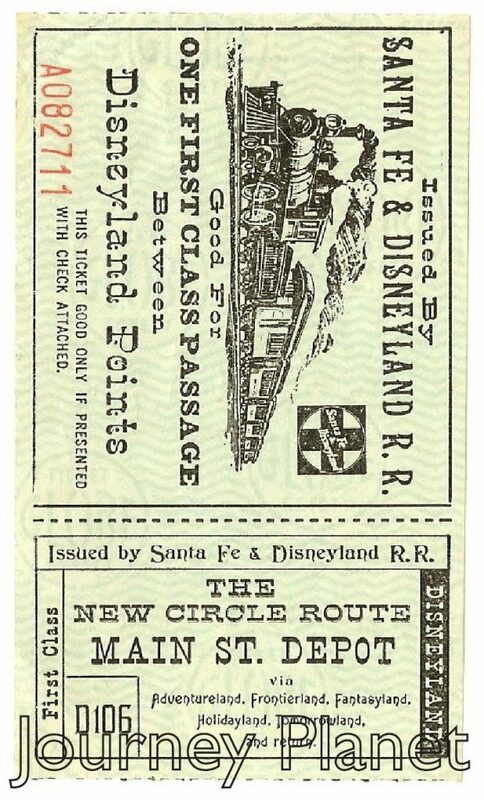 From there, the fanzine looks at the trains that were built and bought for Disneyland, from the Steam Trains, to Monorails, to Viewliner Train of tomorrow. Looking at the engines that exist in a variety of Parks, and discussing historical questions, the zine has drawn on many sources, including Michael Broggies’ Walt Disney’s Railroad Story which captivated me. This is the seminal work, indeed it is more than that, it was inspirational to me, and I started to try and figure out parts that the book touched on, or that I had read elsewhere, and match up the stories, and it was just so much fun. This book is fabulous. Although I have read many, and went down many routes of fun research, and picked up articles and magazines, it was perfect to read as it was like marrying all the pieces of Disney together. 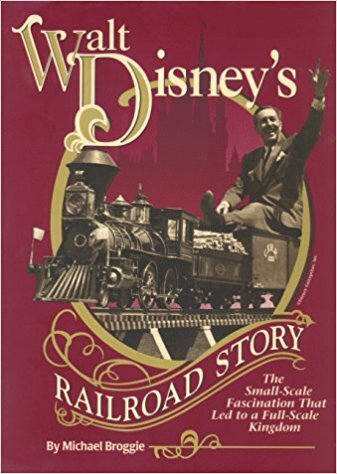 It is a definitive history, not just because of the details, but because Broggie was there, he was on the footplate of the train with Walt, he was working the Carolwood Pacific Railway empty stock movements, he was shown the workings and allowed to drive Lilly Belle, he is a Disney Historian and offers brilliant insight. His ability then to translate all this information into a four-hundred page book is sublime. I bought the 2nd edition and the 4th is awaiting me in Boston, which I will visit for Smofcon. The book, is available at The Carolwood Society Website. Some sources proved very elusive, The Railroad Magazine from October 1965, has an amazing article called “I Have Always Loved Trains” by Walt Disney and is a vital piece of testimony, which I wanted to find. The Irish Railway Record Society Library had many Railroad Magazines from 1965 but not October, while The Boston Public Library’s issue was also missing from the shelves. Finding a copy via my local library was impossible and COPAC mostly failed me, and that is a system that searches the catalogues of some 90 major libraries across Ireland and the UK. Although it did have The Railroad Man’s Magazine listed. Fortunately a photocopy of the article emanated from the USA. As well as the Railways at the Parks, which have fascinating technologies, there is the Carolwood Society’s “Walt’s Barn” at the LA Live Steamers in Griffith Park there is the Lilly Belle parlour car, which is exceptionally exclusive at Disneyland, and a Carolwood Pacific Room at Disney’s Wilderness Lodge at Walt Disney World. Many fans and professionals contributed on the subject as part of the ‘instant fanzine’ section, from Michael Marshall Smith to Kerry Kyle. This entry was posted in Fanzines and tagged James Bacon, Journey Planet by Mike Glyer. Bookmark the permalink. I recently came across some of the early SF&DR coaches on a small private steam railway in Paso Robles.